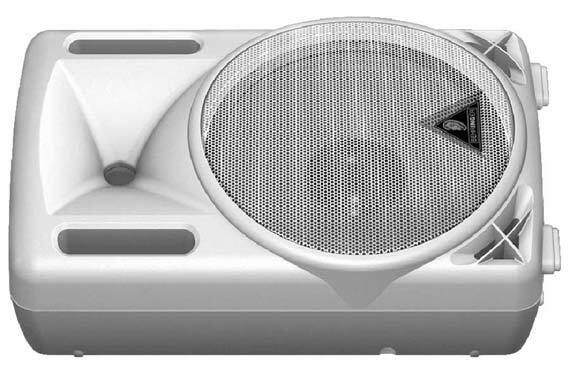 Behringer's Eurolive B210D Active 2Way PA Speaker System’s Intelligent-Design merges the best features of active loudspeakers with significantly lower weight. 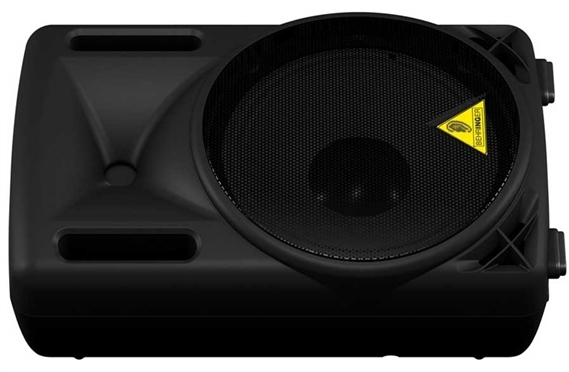 Behringer's Eurolive B210D Active 2Way PA Speaker System’s Intelligent-Design merges the best features of active loudspeakers with significantly lower weight by using switch-mode power supplies and Class-D amplifier topology. Hidden inside each enclosure is the equivalent of an active 2-way electronic crossover, graphic EQ, parametric EQ, mic preamp, limiter and two Class-D power amplifiers, yet overall weight is less than comparable loudspeaker systems! These components work together seamlessly to provide optimum sound quality — and it all takes place automatically, without you having to touch a single knob. One of the coolest things about active loudspeakers is the lack of back-breaking racks of amps, crossovers and EQs that are often required to make passive speaker systems sound almost as good. But that extra weight is usually transferred to the loudspeaker, making it difficult for a single user to heave all that mass onto the top of a speaker stand. But not with Behringer's D Series'. Perfect little budget speaker- suprised me w the sound quality. I think it is descent piece of sound gear. Great to have with you in any situation. You can’t get a better quality product for the price. 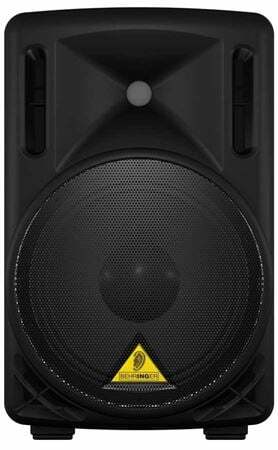 I have been using Behringer speakers for years and have never once had any issues. These speakers sound amazing. Great for church or small venues! I have owned all types of Behringer gear. It expect they will be very dependable. I swear by powered speakers because they are easy to set up. They have volume, treble and bass controls, pass through outs for daisy chaining in a monitor setting and they are very light! At this price point I really would not expect more features. I was able to get these up and running in a few minutes. Great for mains and they make nice monitors as well. I think you must consider again the price and size of these speakers in any critique that may be offered. Are they as good as $500 - $600 speakers? Well no but for the money they sound excellent and much more powerful than I ever expected. They tend to be a bit bassy but you can correct and balance with the treble and bass controls. Hard to tell. They feel good. A few years of use is what I need to know for sure. These are cheap, lightweight, and powerful. I bought two to use with my HD500 modelling rig. These are much louder and have way more dispersion than my 40 watt tube combo. Personally I am completely satisifed with the tone versus going directly into a guitar amp. Incredibly easy, just plug them in. I did extensive A/B with Behringer B212D, QSC K8 and K12, and JBL Eon 15 at the local shop. When not pushed, the Behringer unit sounds just fine. The QSC has tons more power and shines at deafening volume. I don't need that much power. I am quite satisifed.